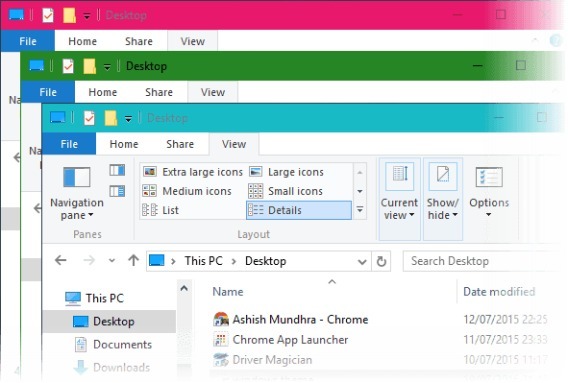 As most Windows 10 user know, most apps’ window title bars is white in color by default in Windows 10. Unlike in Windows 8 or Windows 8.1 where personalization options are available through Control Panel and changing the color applies to window borders including the titlebars. First, make sure you activate Windows 10. Next, head over to Settings > Personalization > Colors. In colors option page, enable “Show color on Start, Taskbar, Action Center, and Title bars”. Once choose the option, the Windows page will change the title bars with a full color intensity that matches with theme.